Day 79: 9 July. 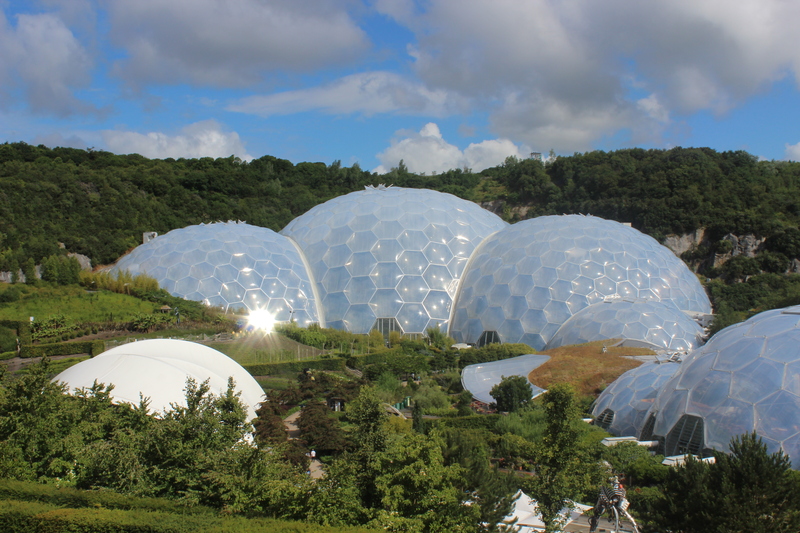 Visit to the Lost Gardens of Heligan – another favourite. 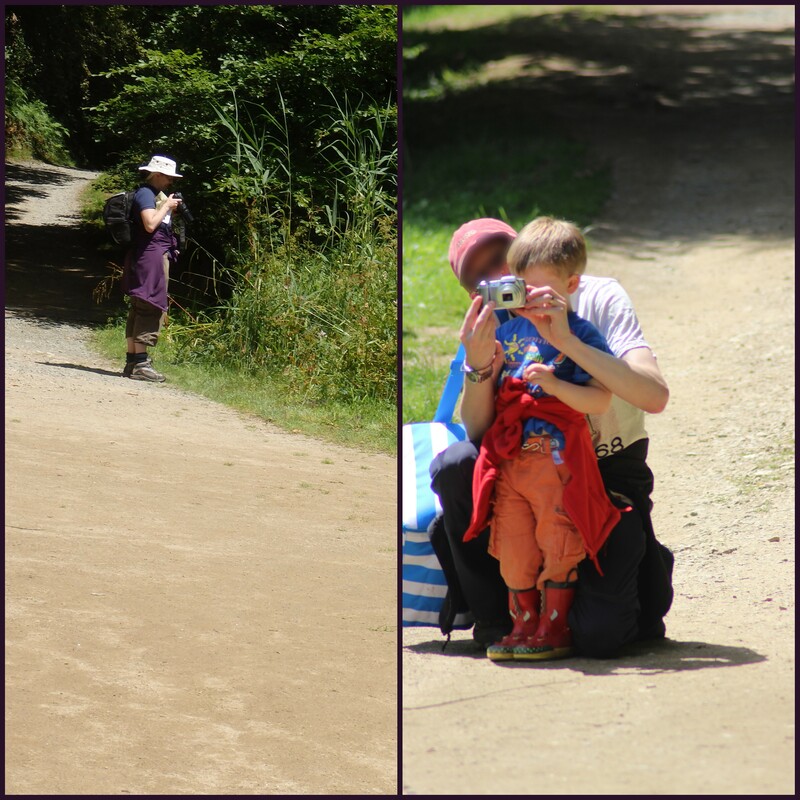 Sqk (helped by Daddy) took photo of me taking photos on butterflies in the Lost Valley. Day 80: 10 July. 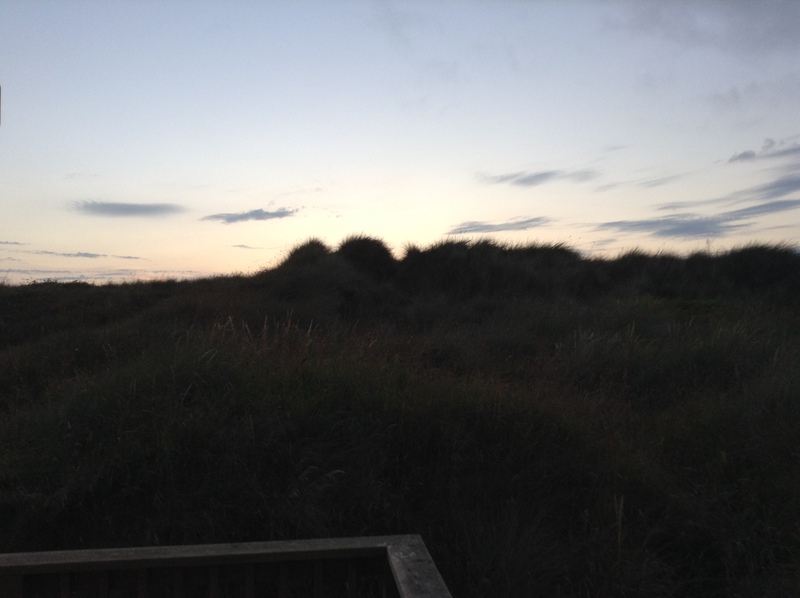 Another gorgeous end to the day in Cornwall. Day 81: 11 July. 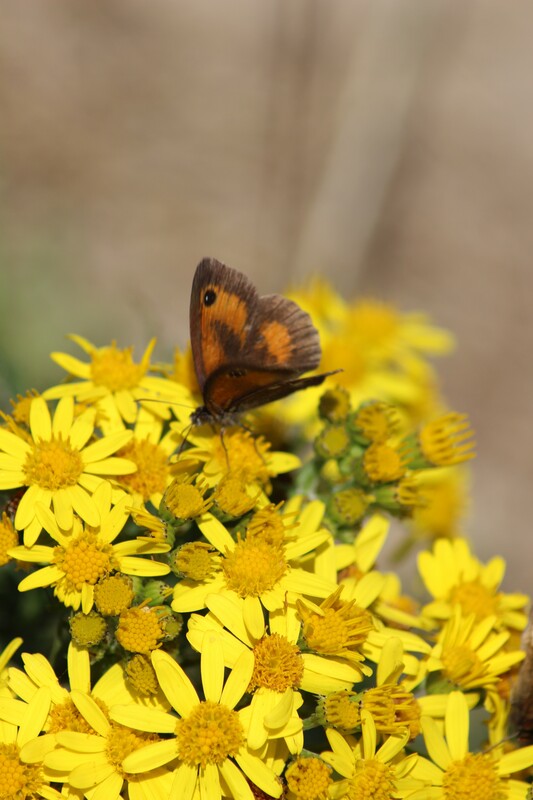 Walk to Perranporth across beach (Sqk didn’t like sand on his feet) and back across dunes – butterflies were beautiful. Day 82: 12 July. DH’s (early) birthday lunch at Fifteen Cornwall. 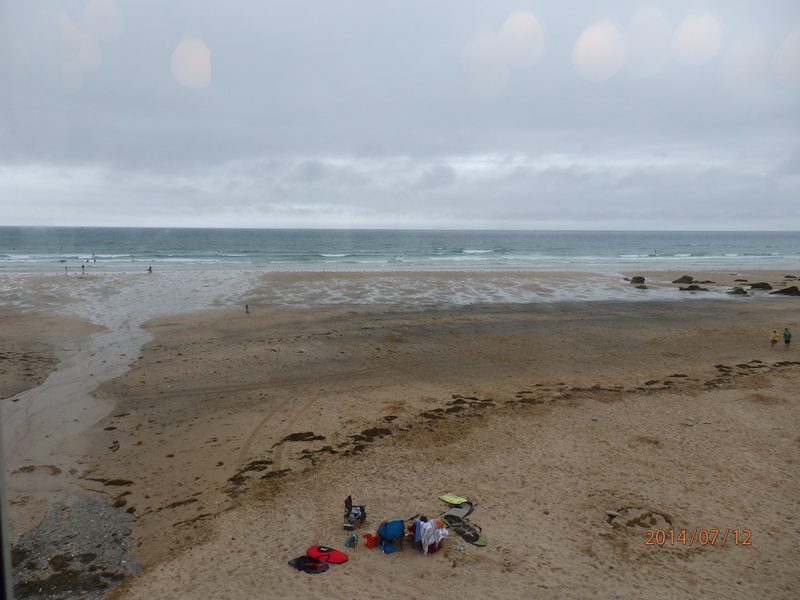 The views from table across Watergate Bay were wonderful even in overcast. Day 83: 13 July. 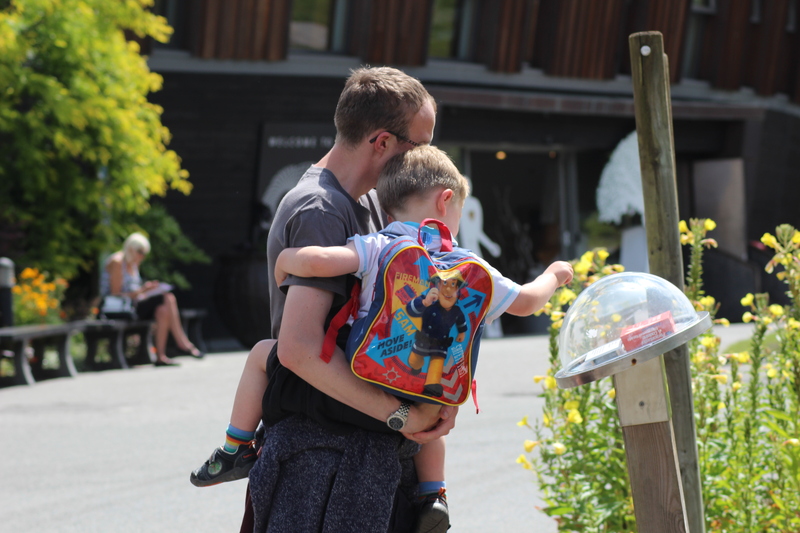 Return visit to Eden – Daddy explaining to Sqk about importance of plants to our medicines. Day 84: 14 July. 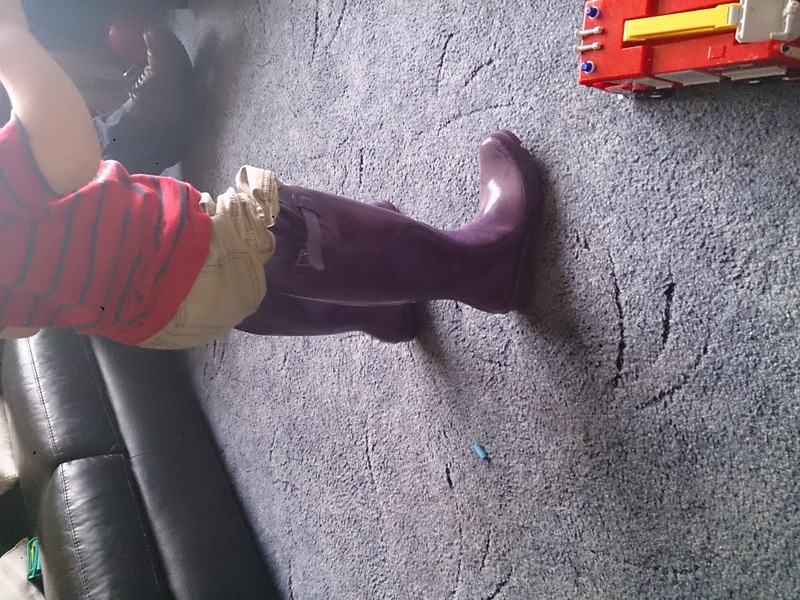 Home – Sqk decided to try out my welly boots.